At my class at Stanthorpe tomorrow I thought we might put the new Stampin’ Up! Thinlits through their paces. So I’ve created this little card featuring a few new products. This is such a quick and easy card. 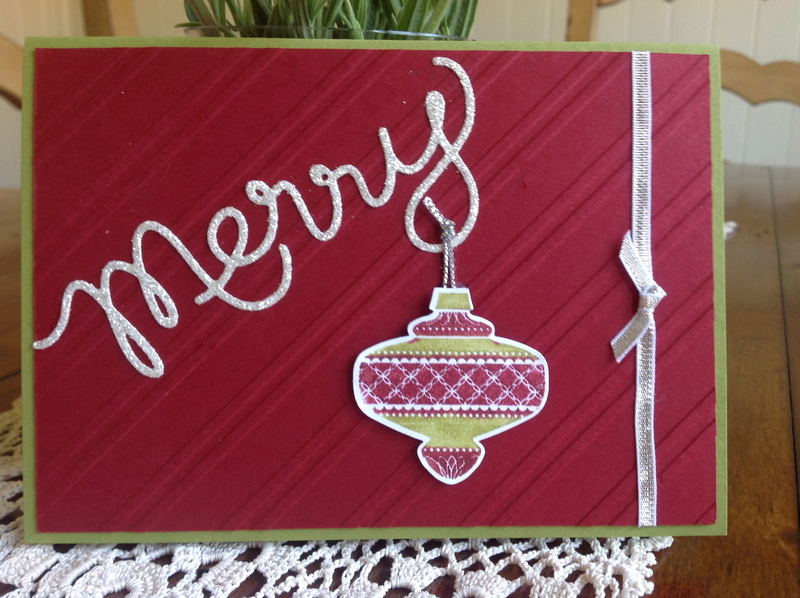 It took next to no time to create and the “merry’ is cut from a silver glimmer sheet, so it looks like it’s going to pop right off the front of the card.